Today is the birthday of my Accounting Education website. On 19th Jan. 2008, I started accounting education website. So, today, you and me are celebrating this great day. We are celebrating 9th birthday of accounting Education. So, today, I am giving you the gift like gift to all who are associated with my all online work. So, I am try to convert this gift in accounting area. 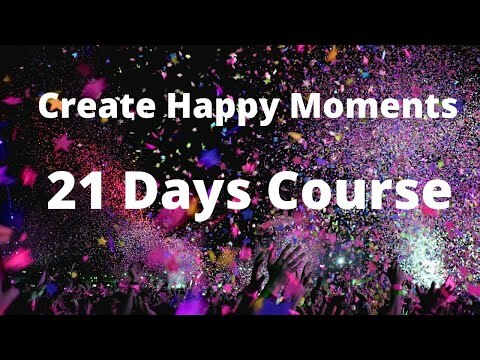 Today, I will tell how can you create your happy moments in your accounting area. Whether you are accountant, accounting teacher, CA, CPA or any other accounting professional. To create happy moments is very easy. It will take 21 days under one course.